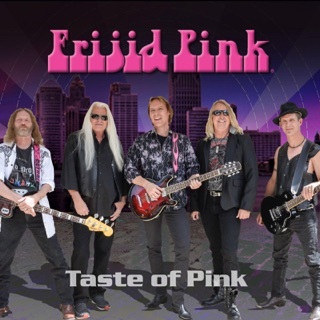 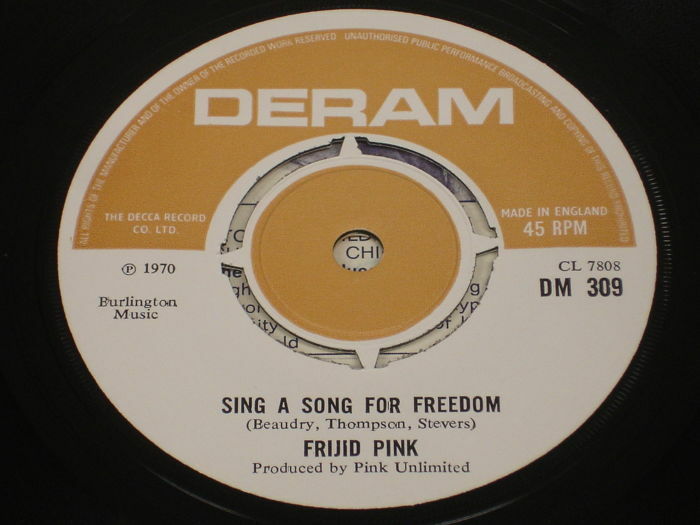 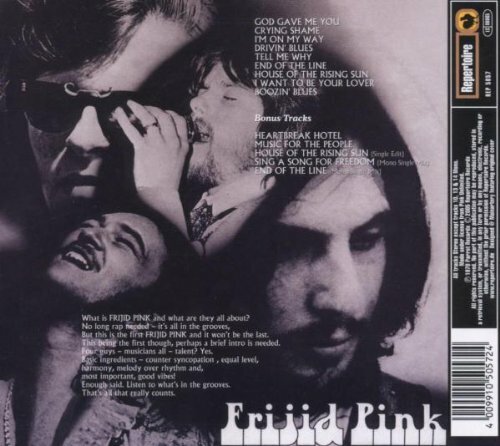 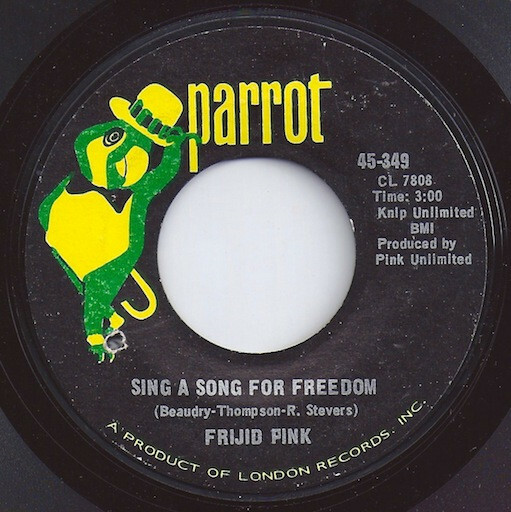 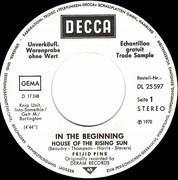 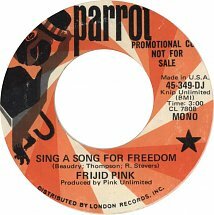 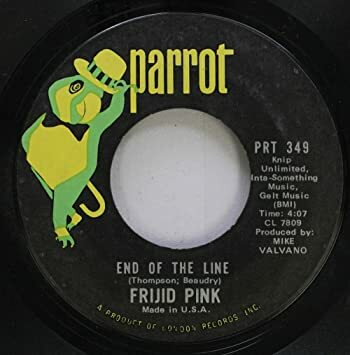 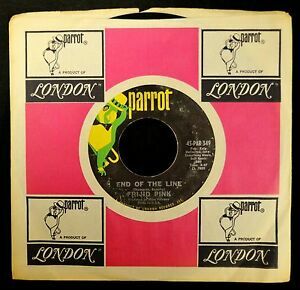 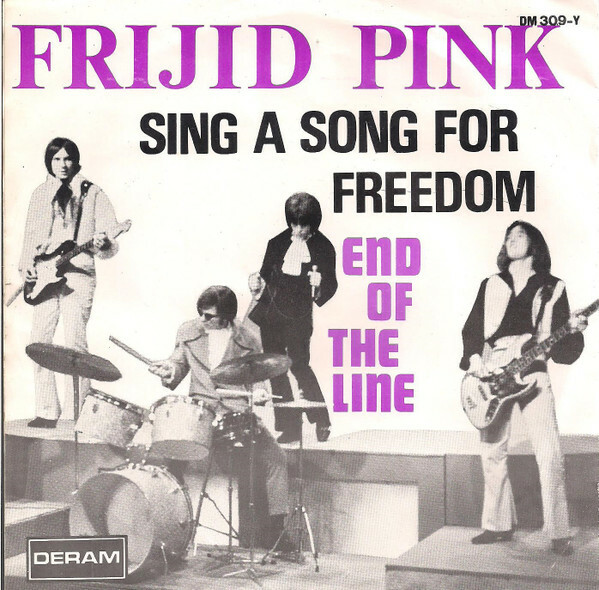 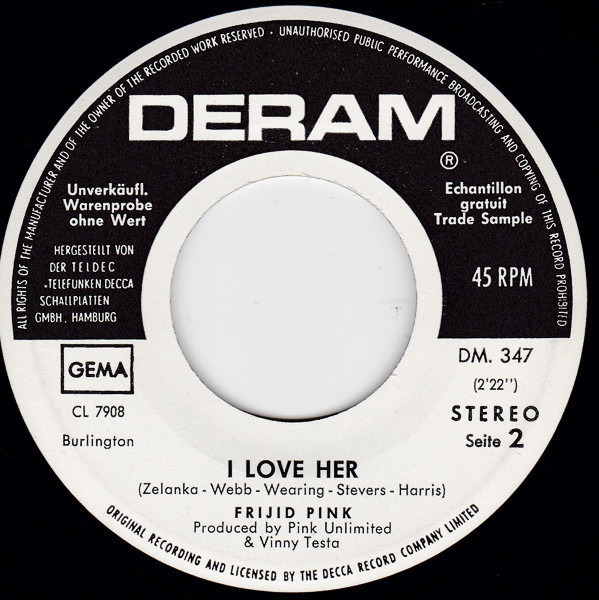 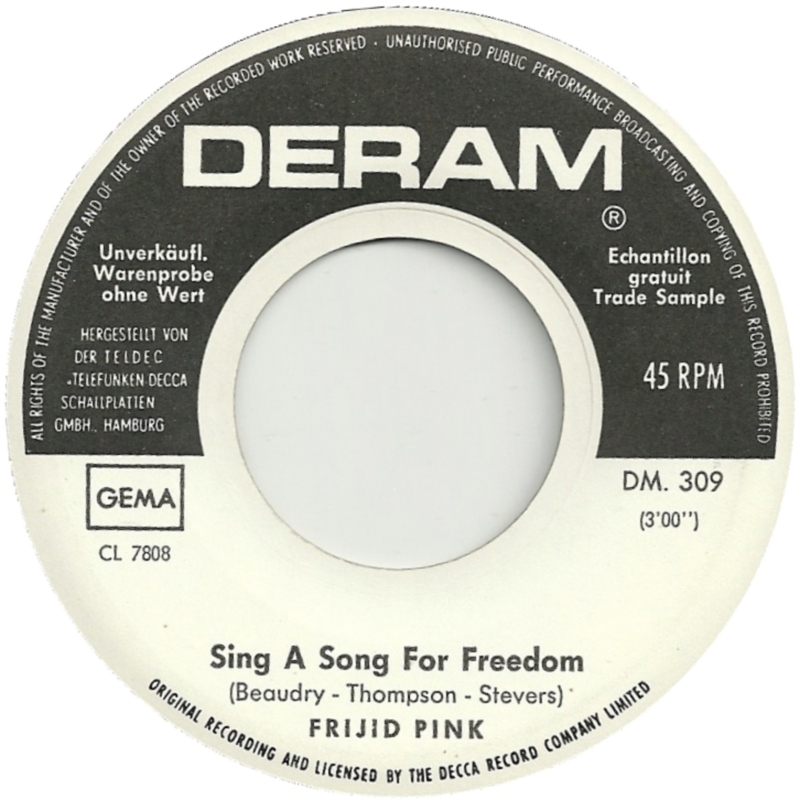 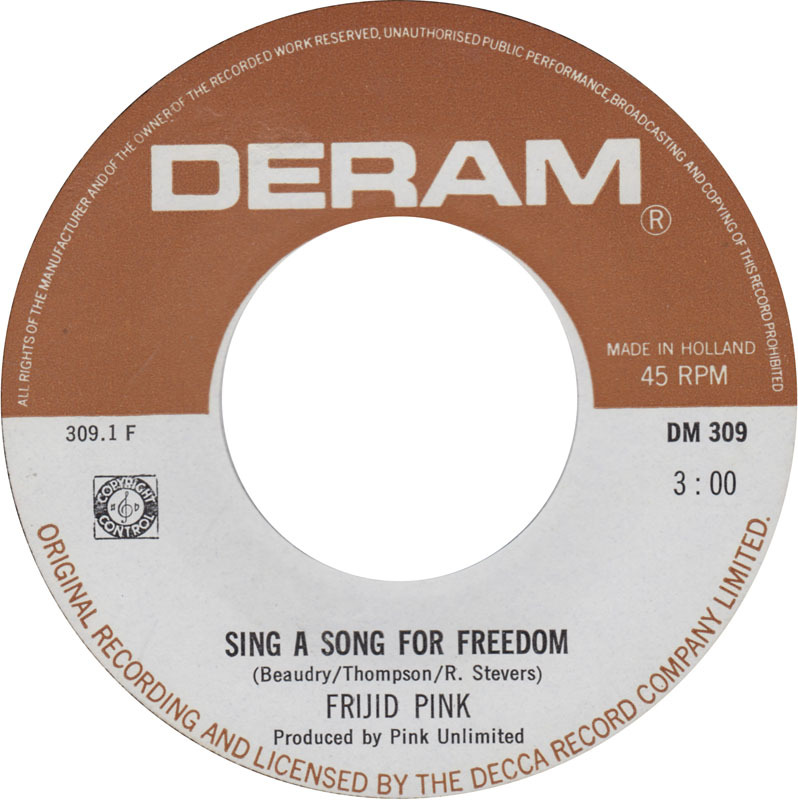 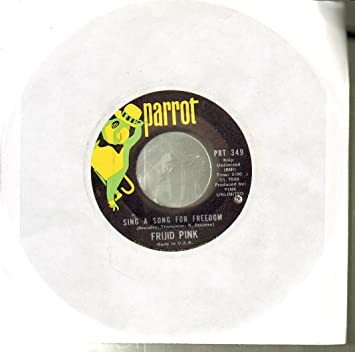 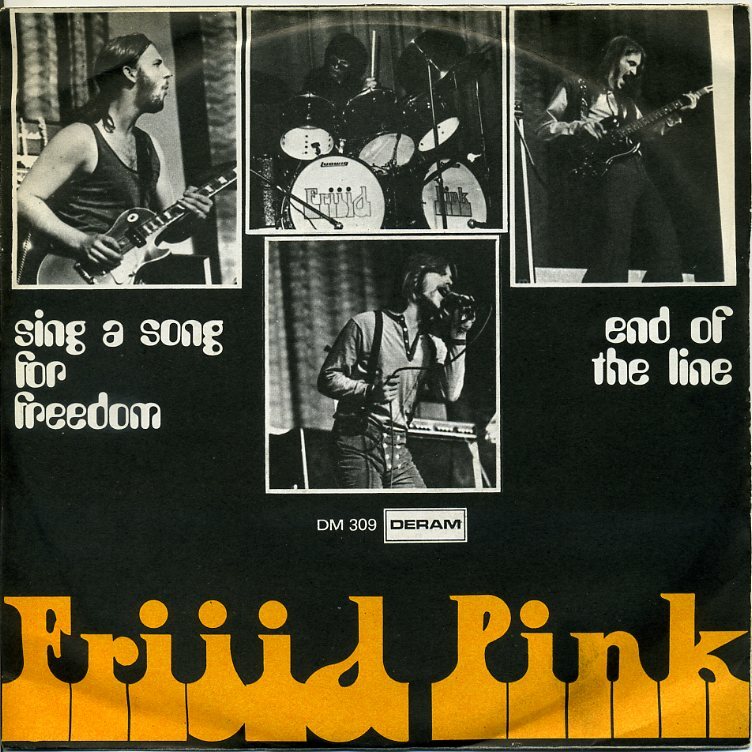 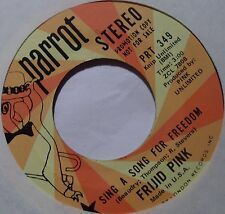 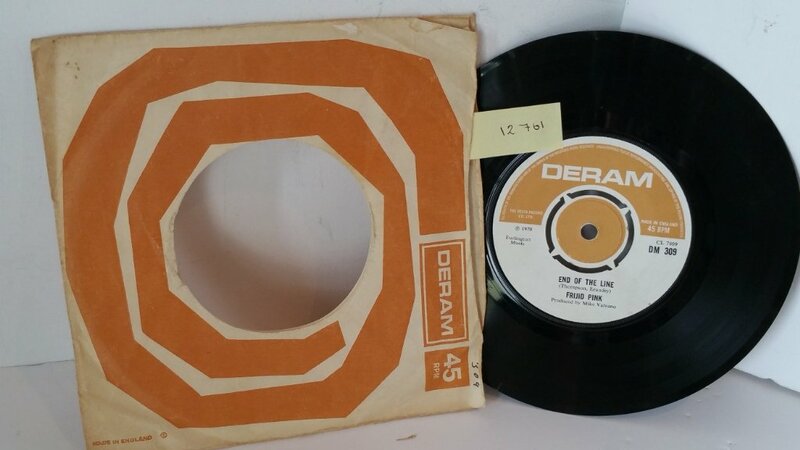 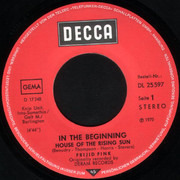 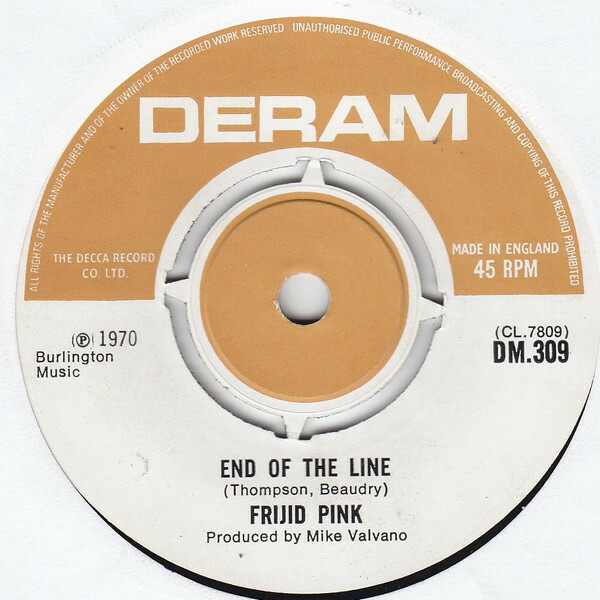 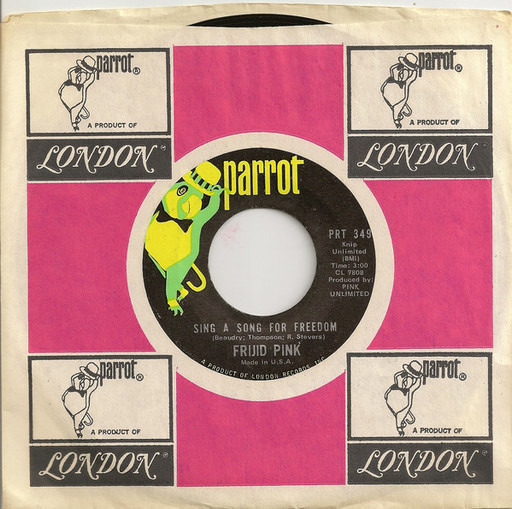 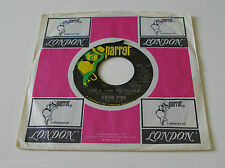 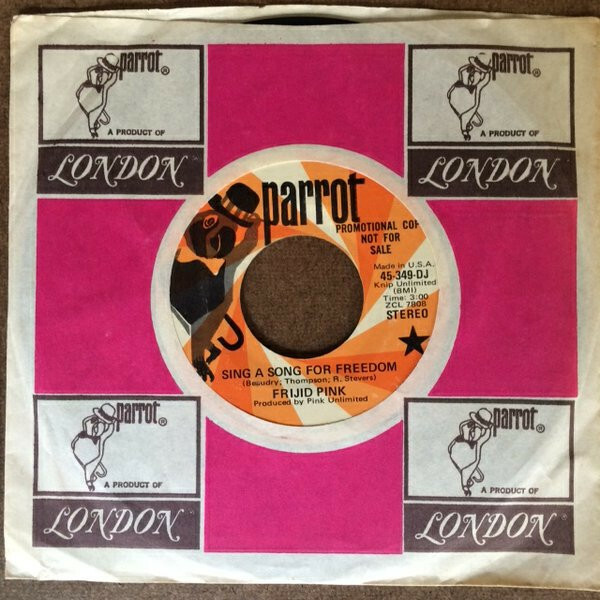 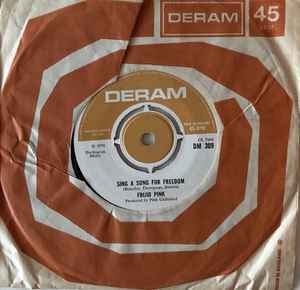 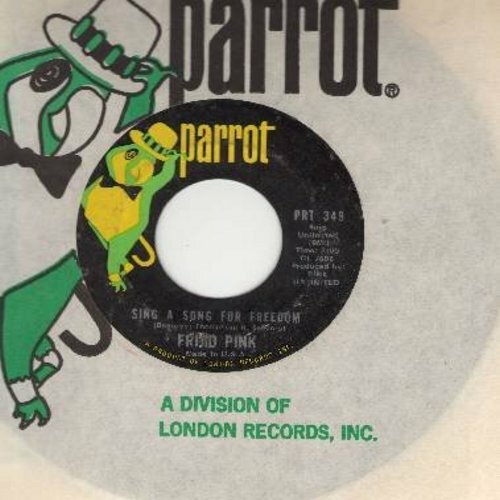 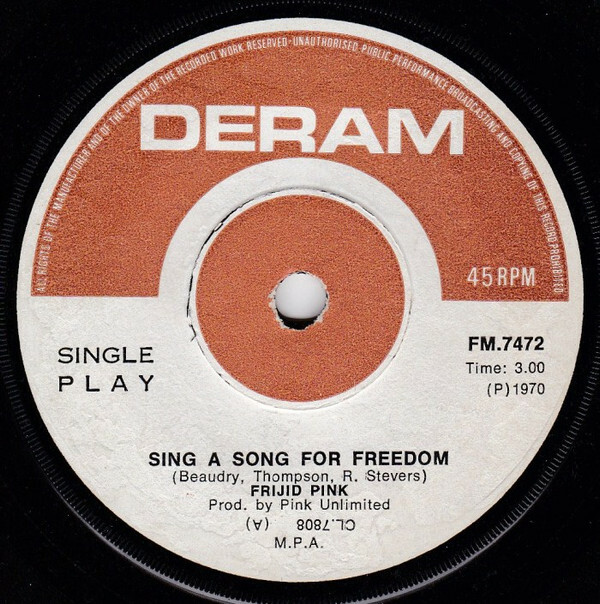 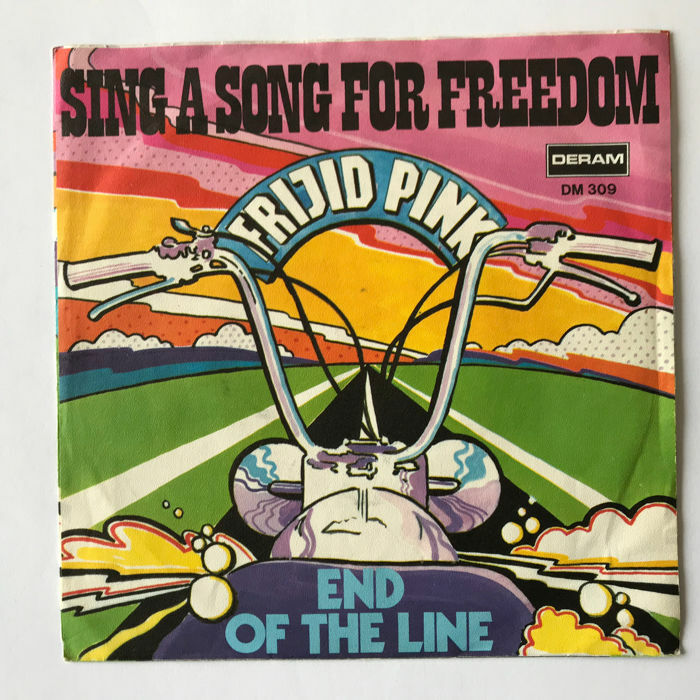 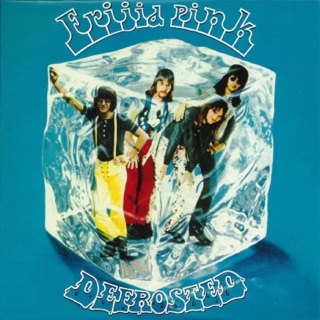 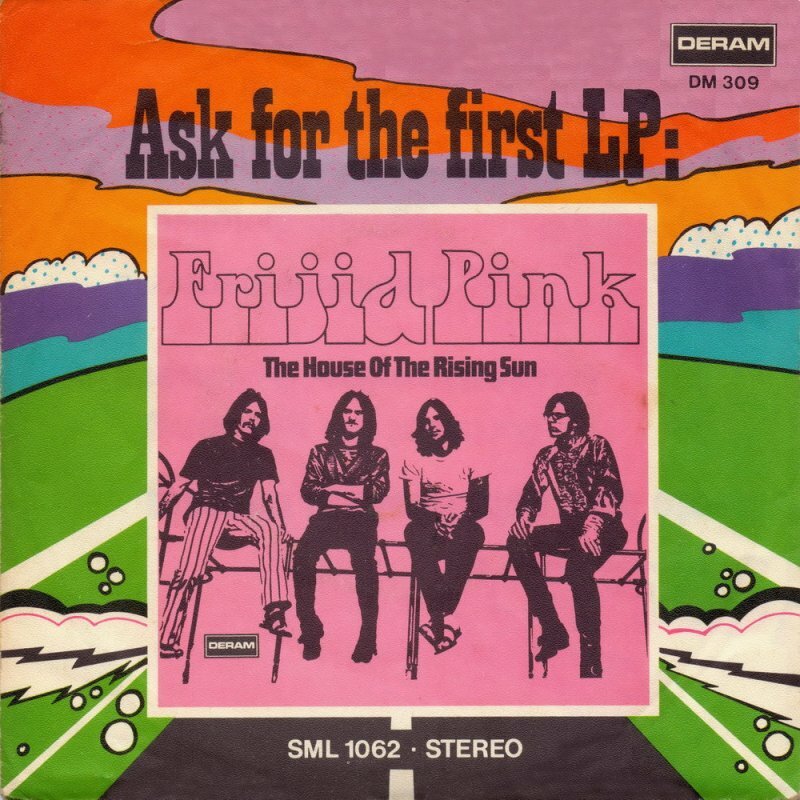 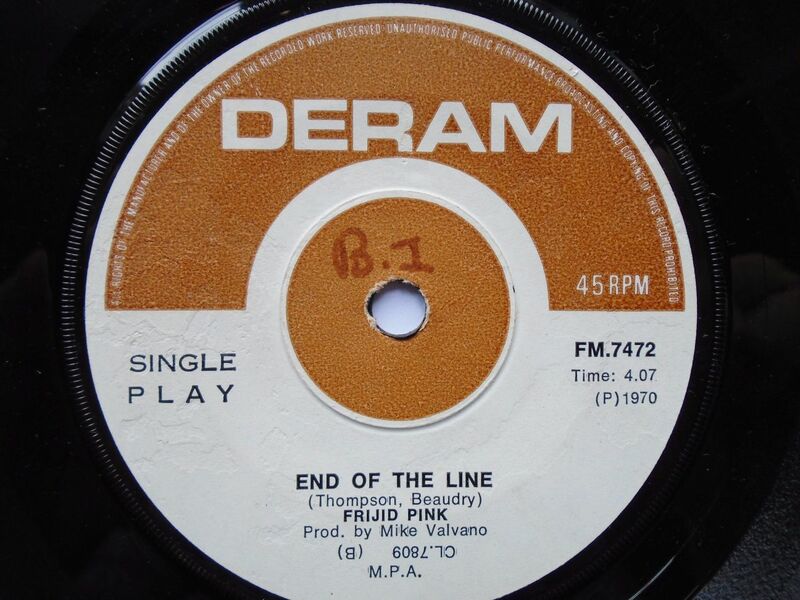 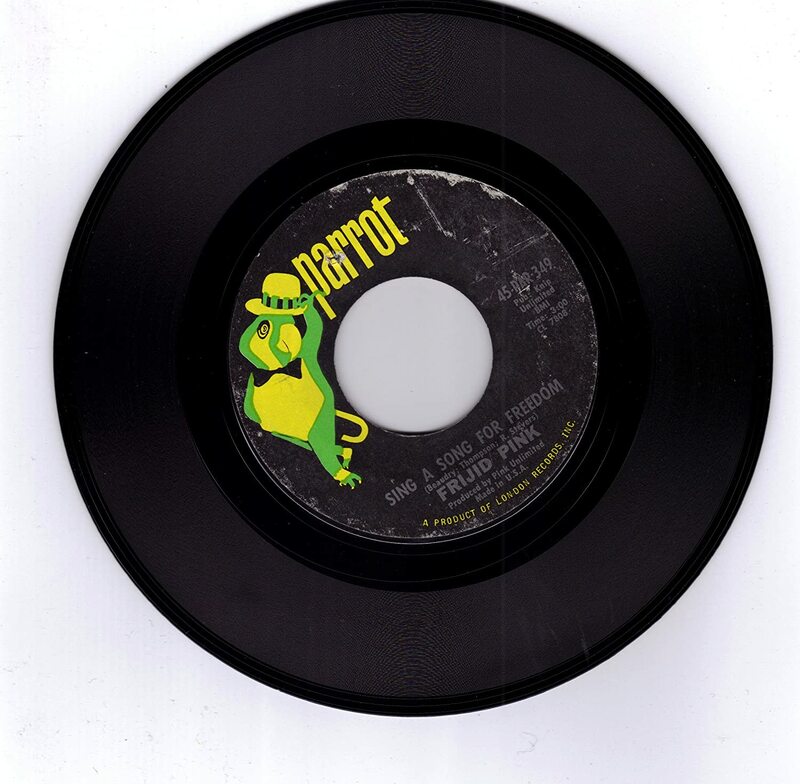 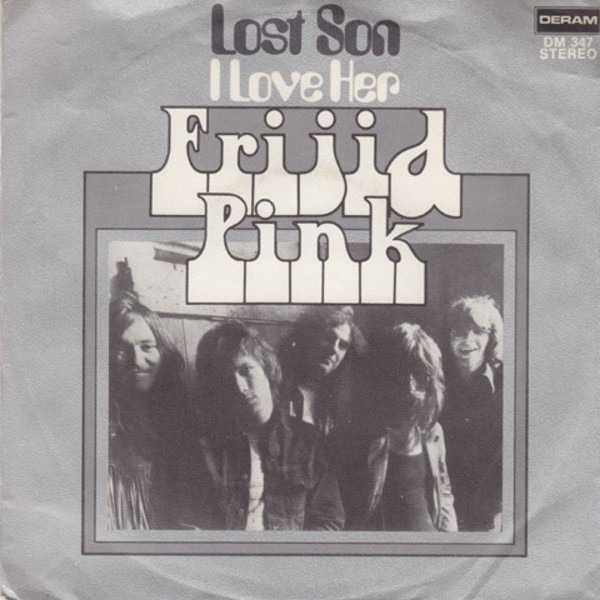 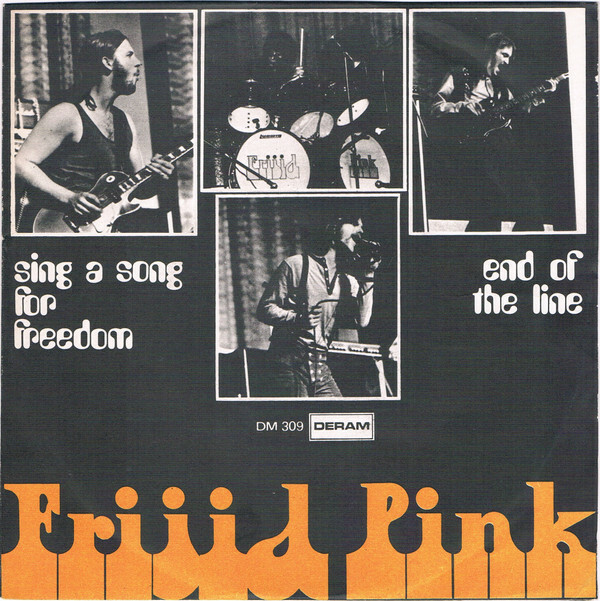 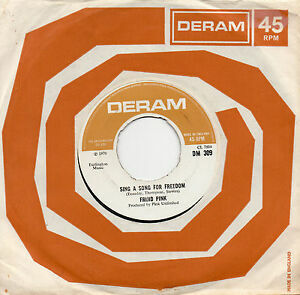 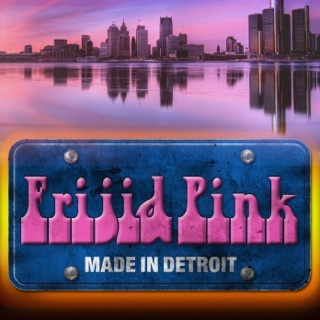 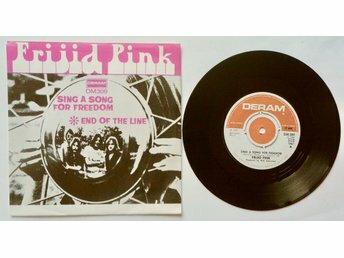 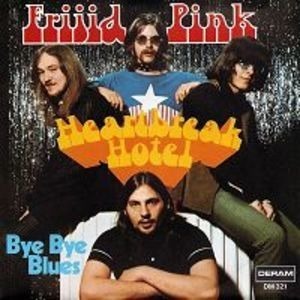 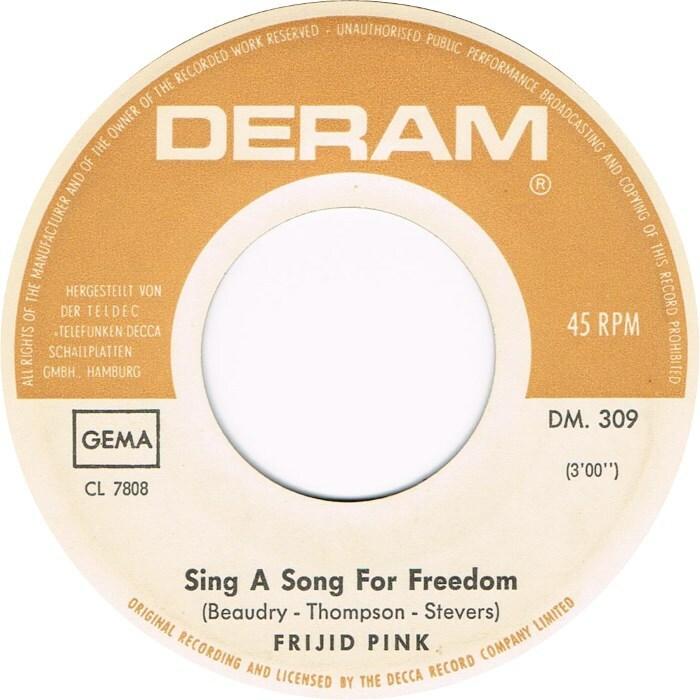 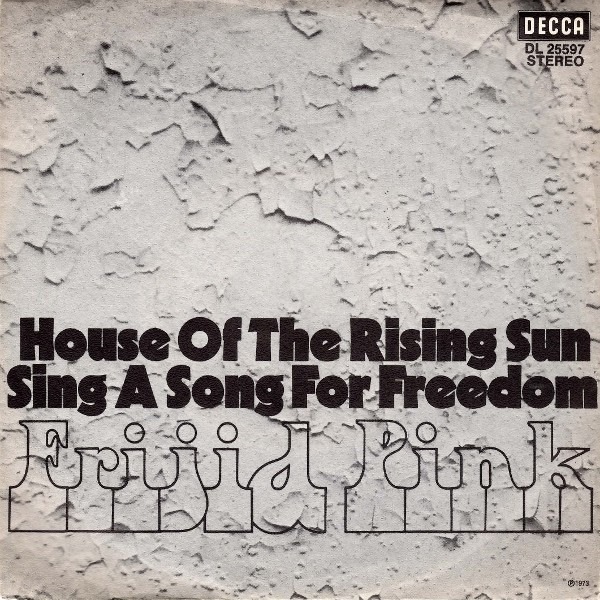 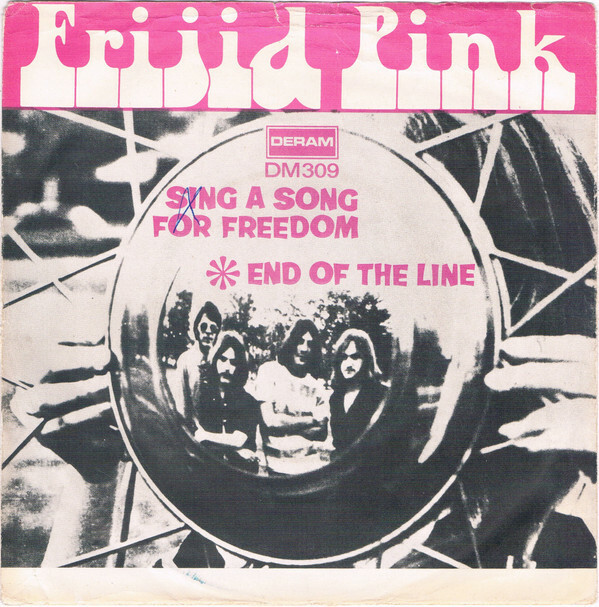 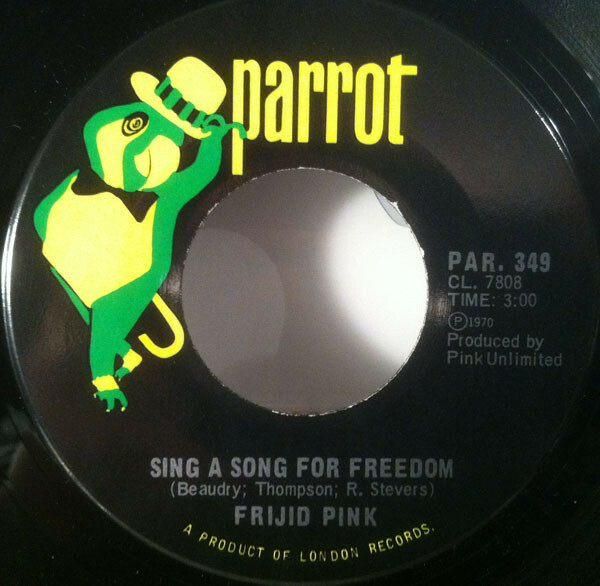 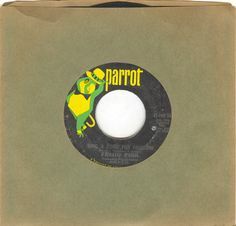 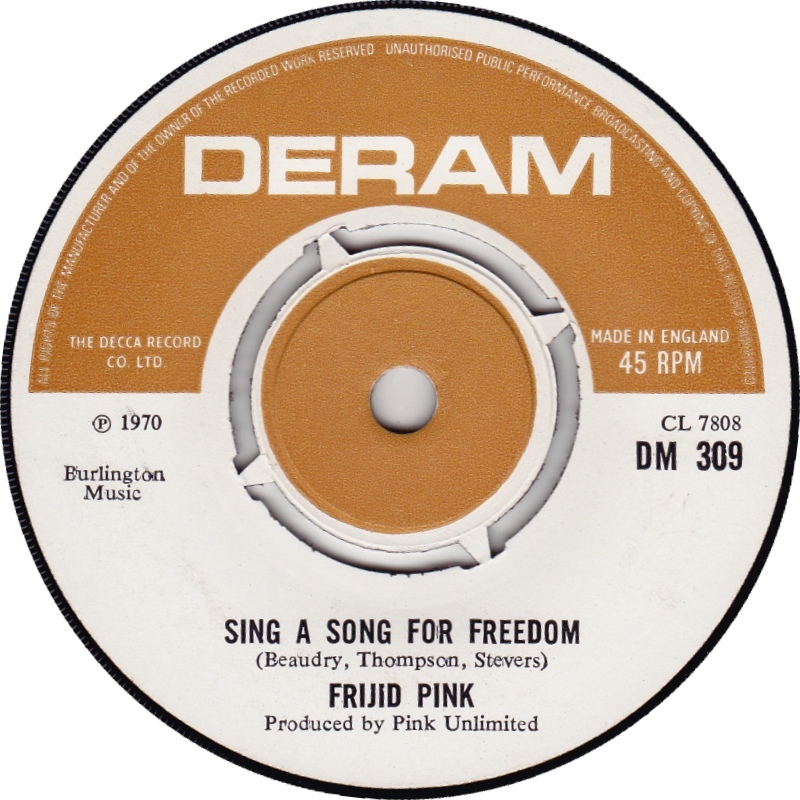 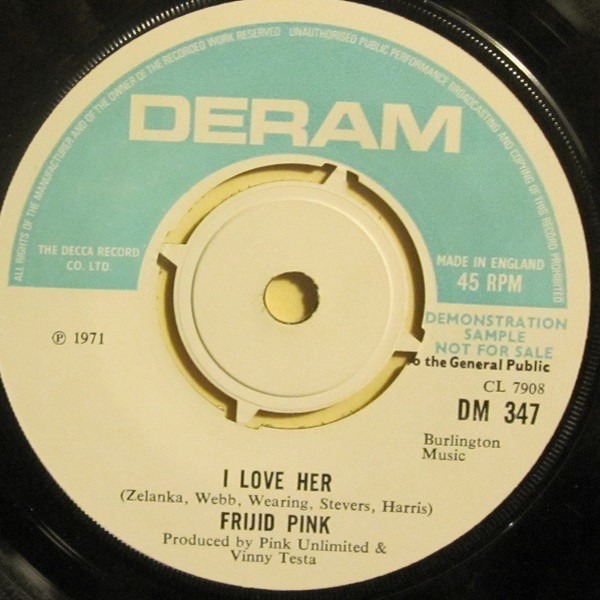 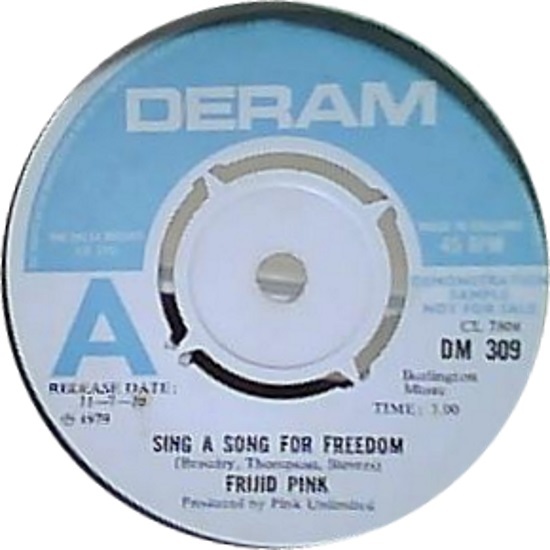 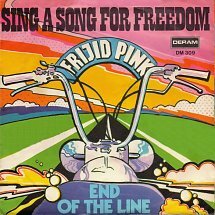 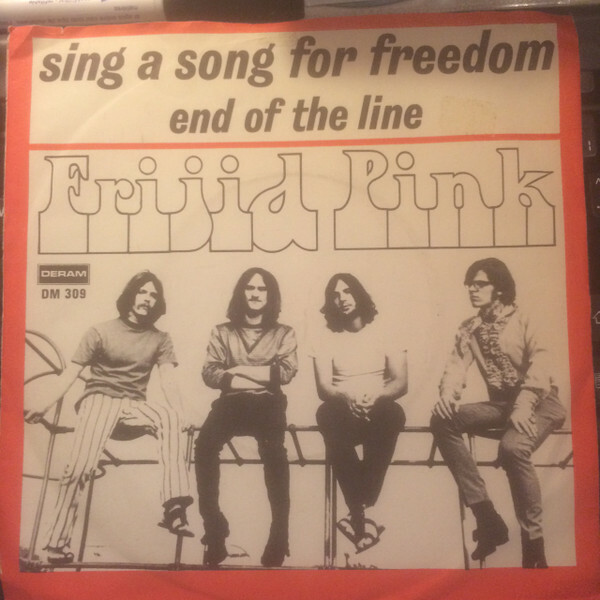 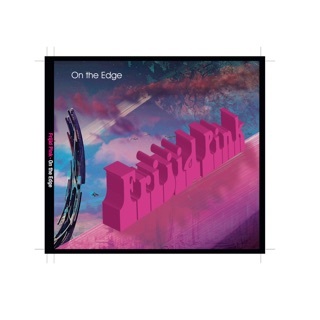 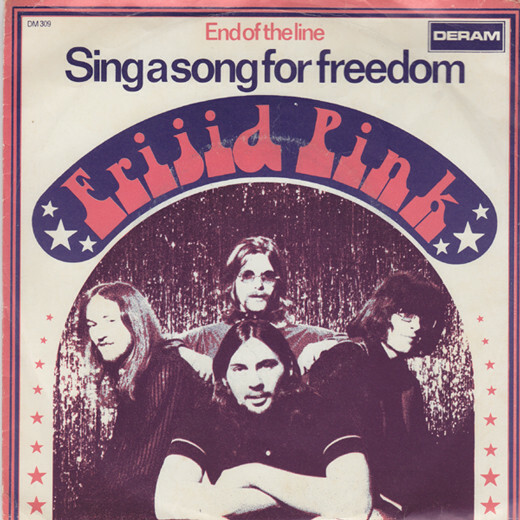 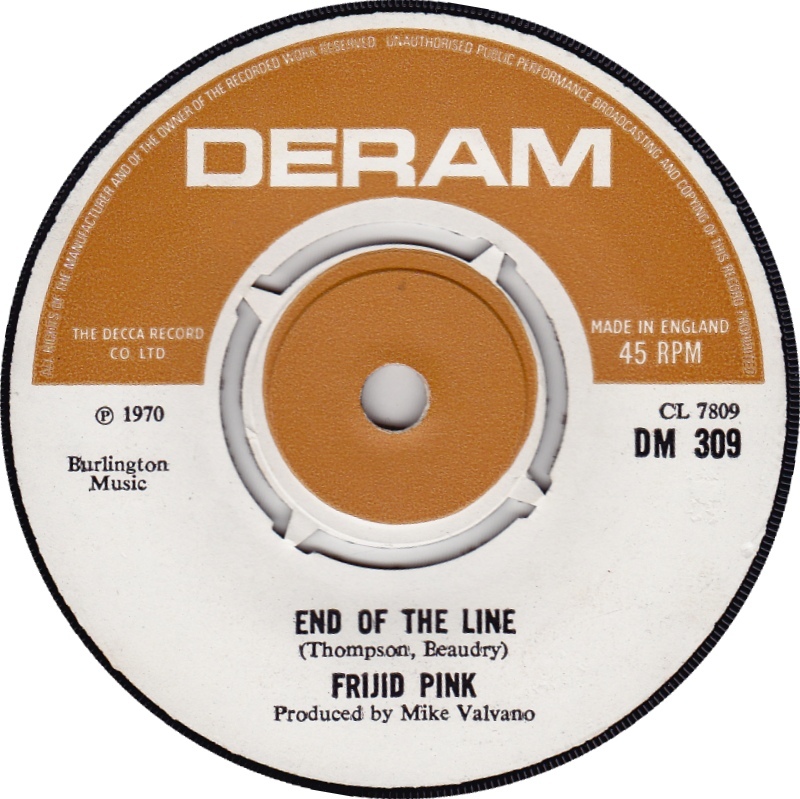 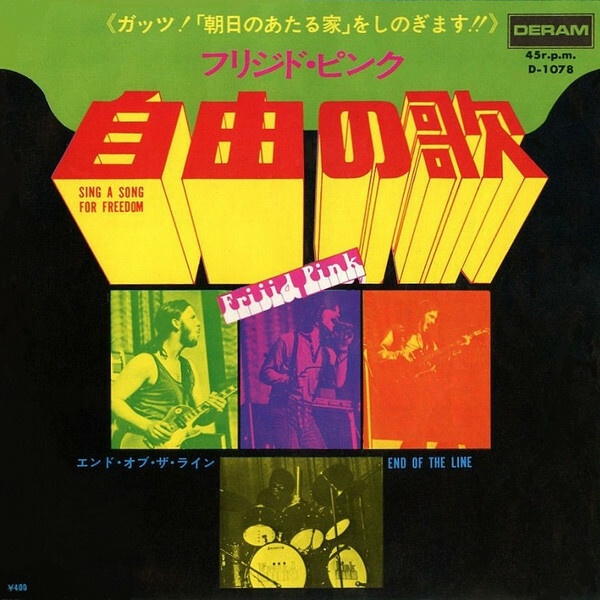 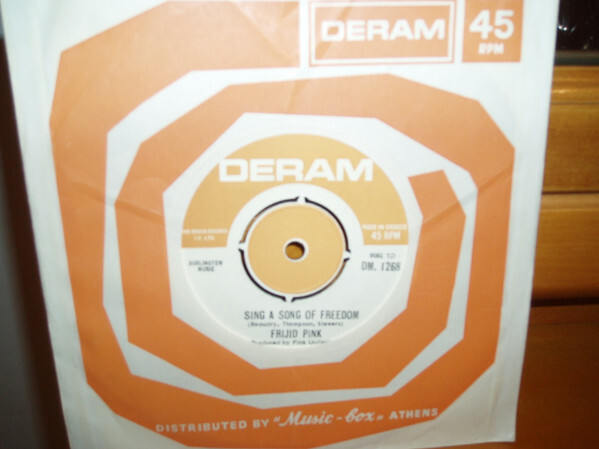 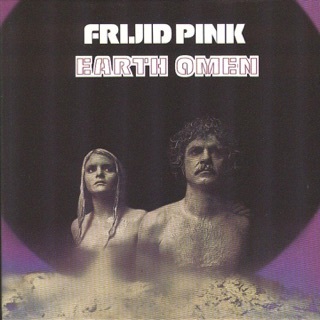 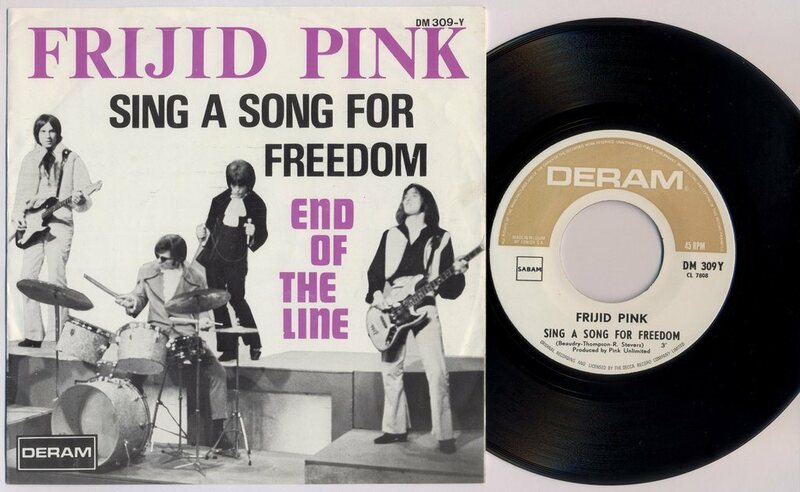 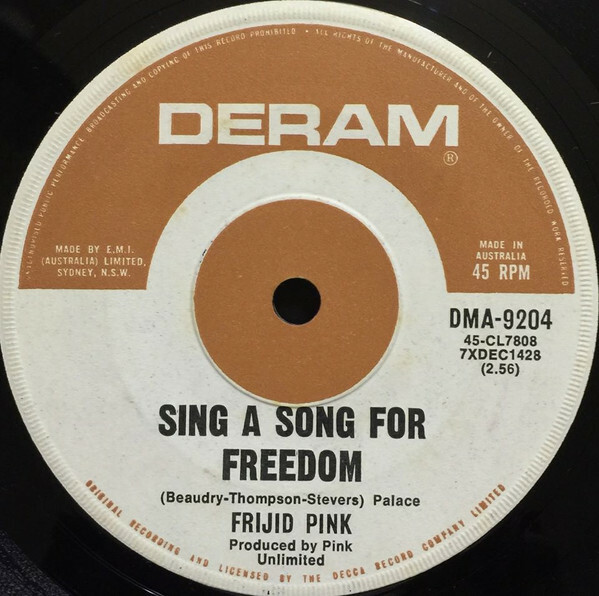 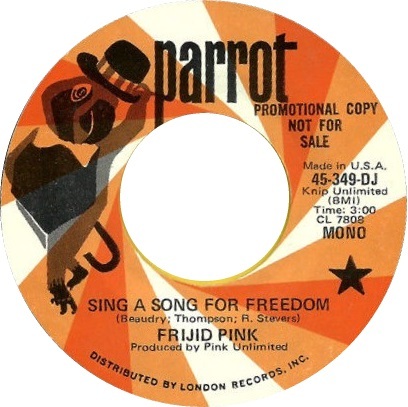 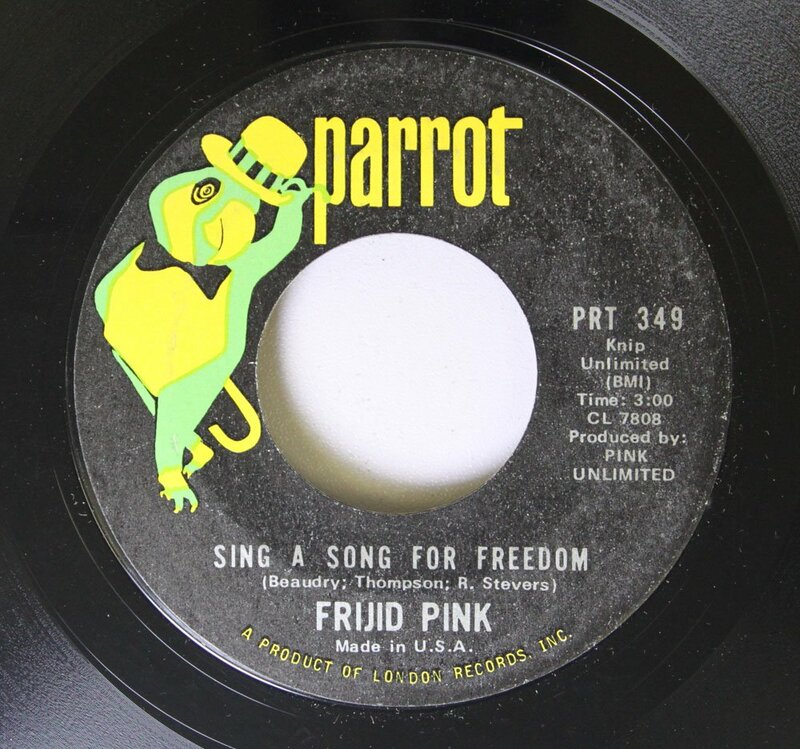 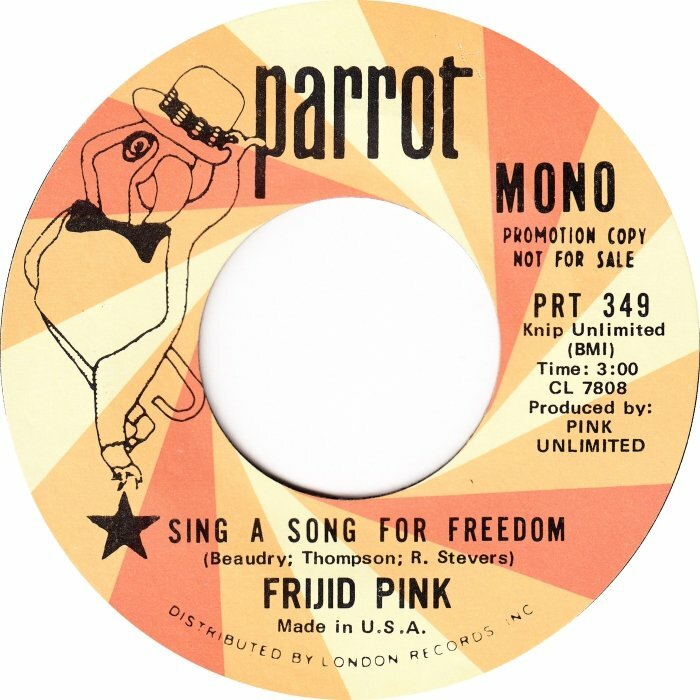 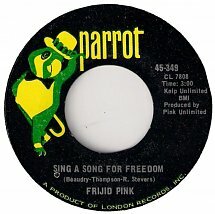 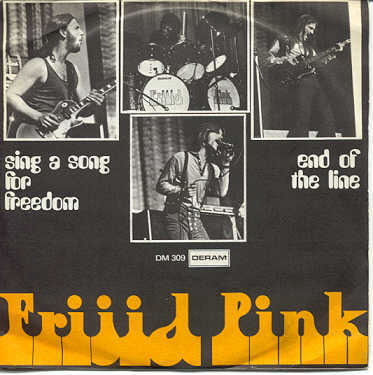 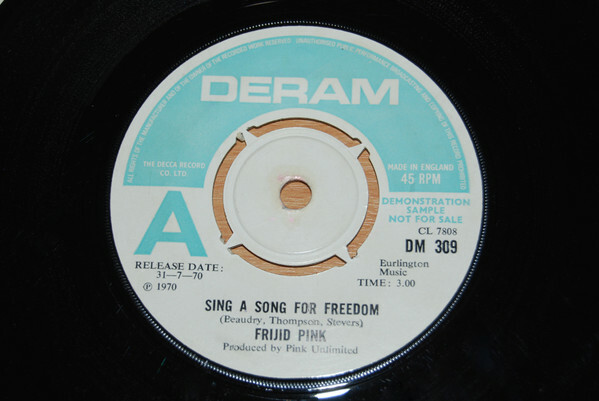 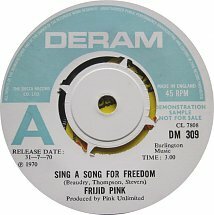 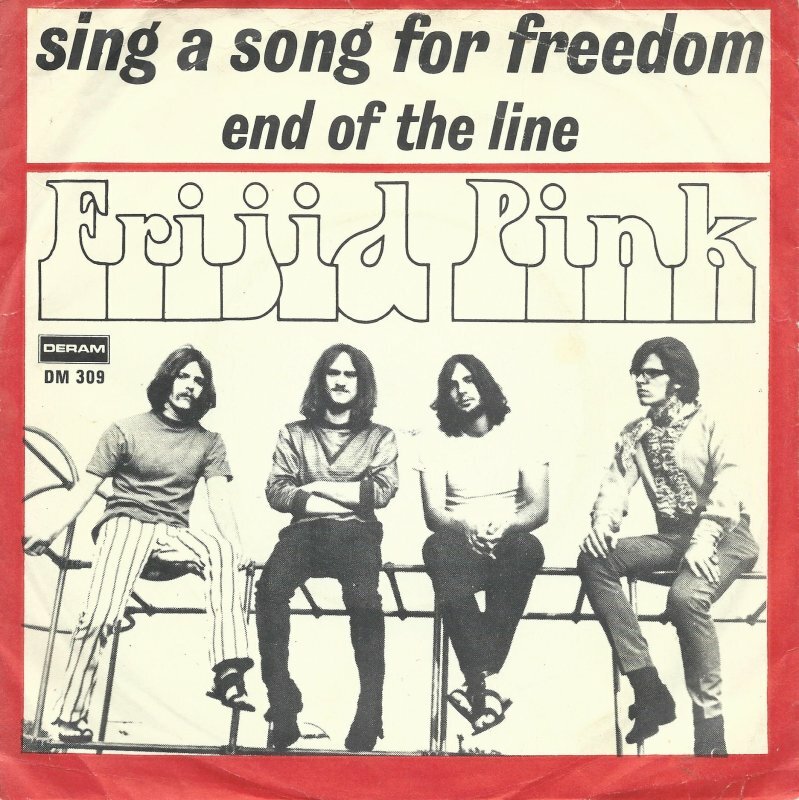 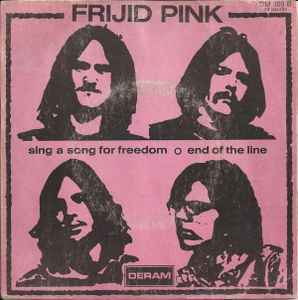 FRIJID PINK 45 rpm "Sing a Song for Freedom"
Frijid Pink- "Sing a Song for Freedom"
Side One: 1.  Black Lace 2. 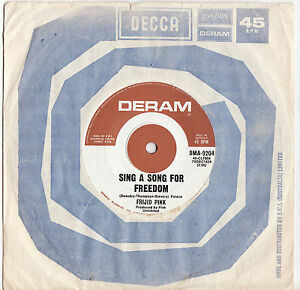 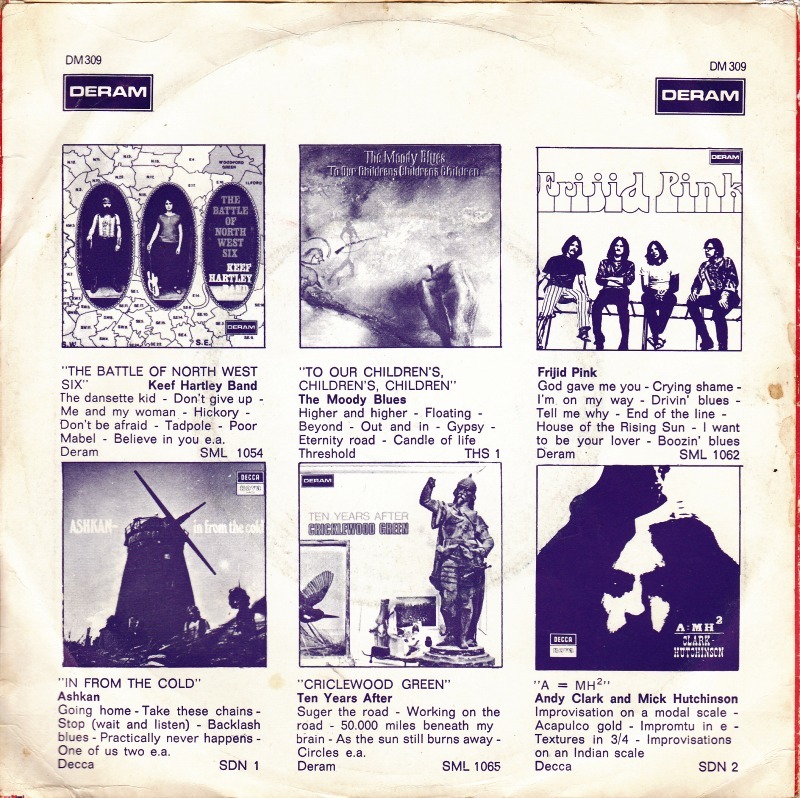 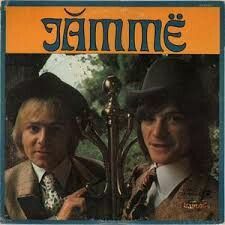 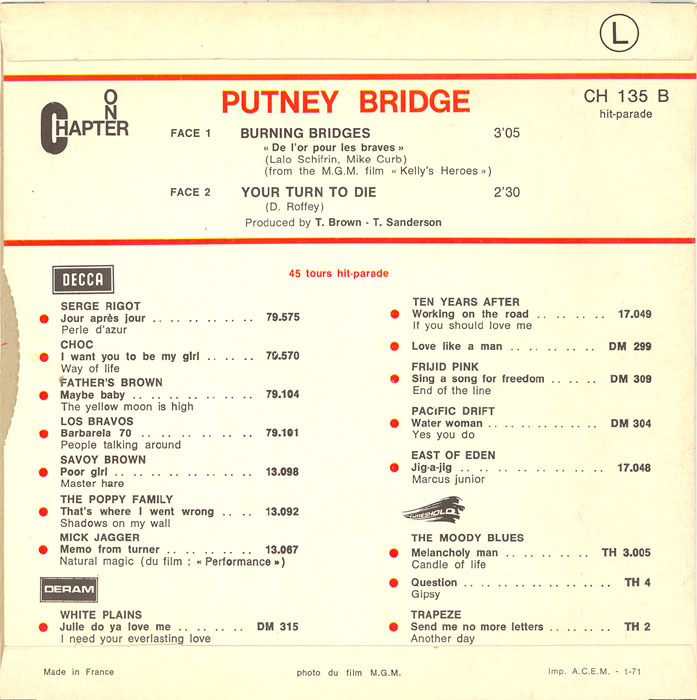 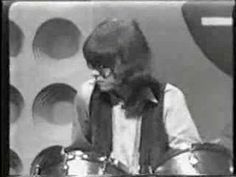 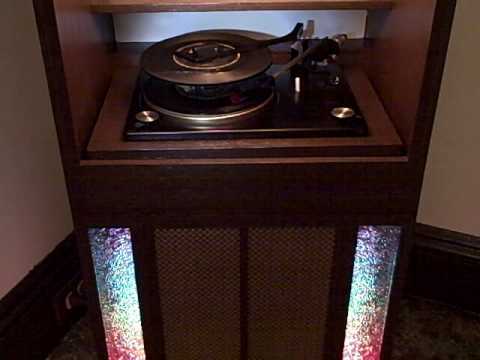 Sing a song f0r freedom (video) 3. 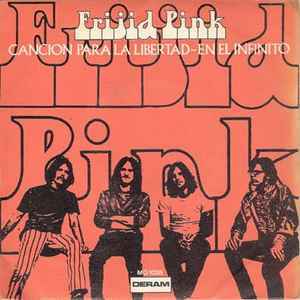 I'll never be lonely 4. 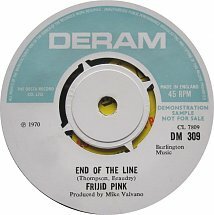 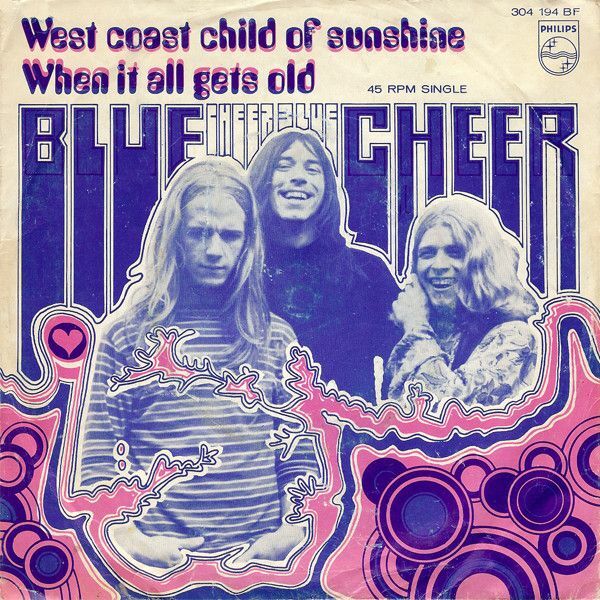 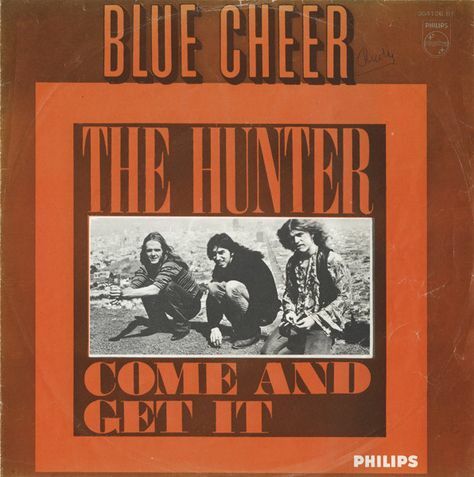 Bye bye blues. 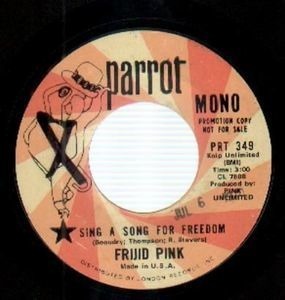 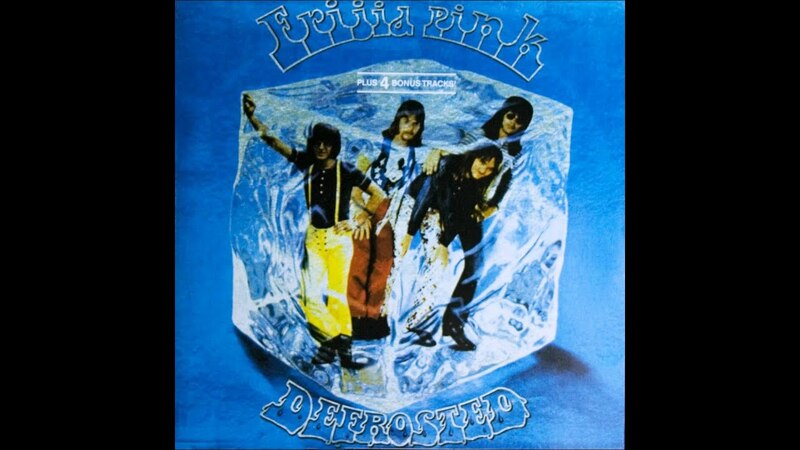 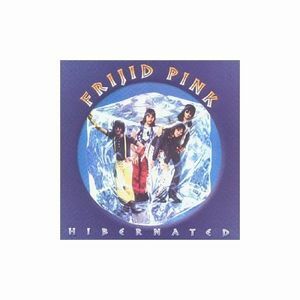 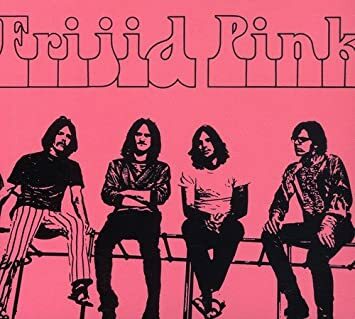 ... None · None · Frijid Pink.